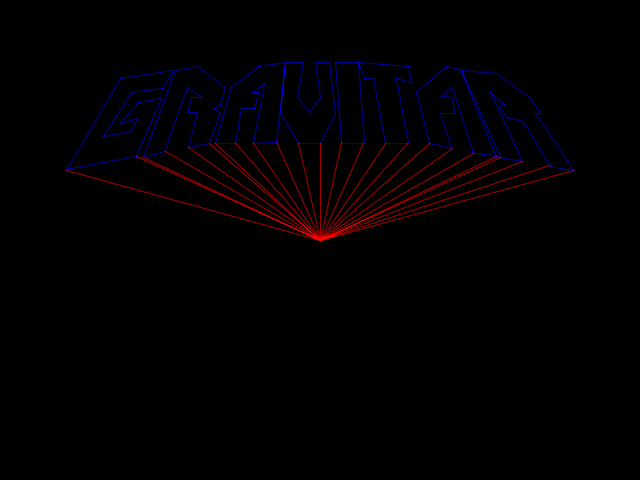 Gravitar consists of you playing as a tiny blue space ship attempting to collect fuel and destroy enemy ships and bunkers. What made this task addicting was actually the difficult control panel. 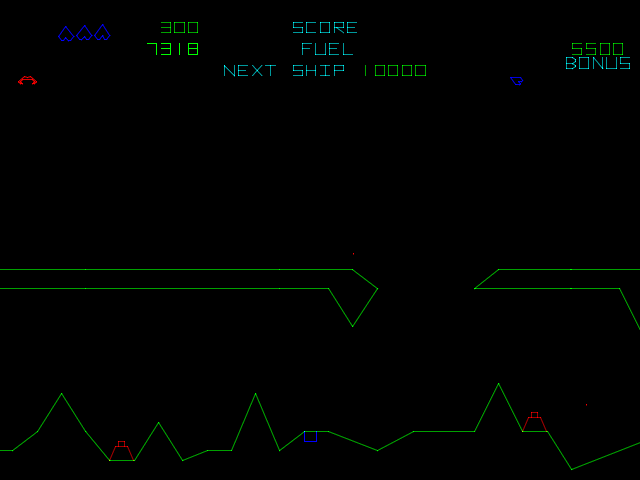 The game has a very similar feel to the earlier Lunar Lander by Atari. You have to focus on fuel and, more importantly, gravity, which will change based on worlds and levels. 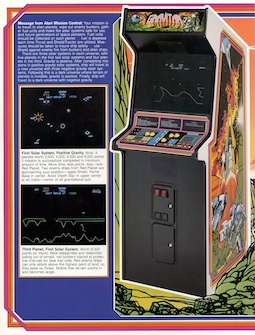 There's no joystick on the control panel; just 5 buttons, corresponding to the actions for left, right, shoot, and thrust, with the final button sharing two functions: force field and tractor beam. The physics involved in this game keep me coming back for more. While on my MAME cabinet I have to play with a joystick, at least I can still go for broke and see how much fuel I can save. The game is easier with a joystick, from what I remember. You are given a life system based on your fuel. Once you run out of fuel the game ends. The best strategy is to be stingy, get that momentum going, and never stop shooting! Each of those star systems has its own gravitational pull, which drags your ship in towards them. When you enter a star system, you are presented with a Lunar Lander-like screen such as this. I learned over the years -- having neither seen this game nor known anyone who ever played it back in the day -- that the game failed. Most of the machines were converted to a game known as Black Widow, which used the same hardware. According to Wikipedia this game was initially ported to the Atari 2600 and offered only to those elite people in the Atari Fan Club, but later was released to the public. The only difference is some color in the labels for you collectors. Thanks to the good record keepers at The Arcade Flyer Archive you may view the sales flyers for the game (low-res sample pictured right). They are filled with outstanding hand drawn graphics, screens, and photos of the cabinet. This concludes yet another look at an oddball game most people probably haven't heard of by Pixelcade. I encourage you all to play the game and post some scores! 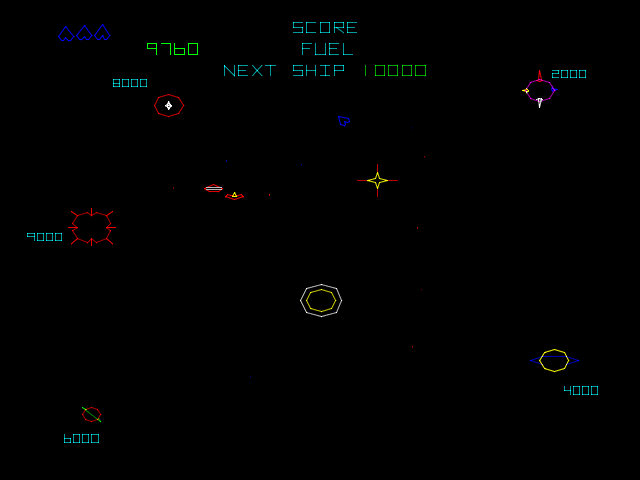 Did you ever get to play the arcade version of Gravitar? What's your favorite vector-graphics game? Let us know your thoughts in the comments.